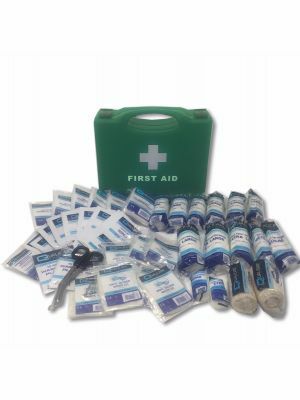 The HSA (Health & Safety Authority) kit is the official standard for first aid kit contents in Ireland. 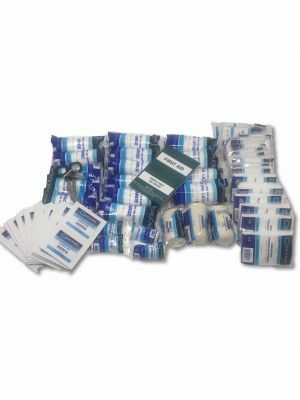 Assorted Plasters, Eyepad dressing, triangular bandages, safety pins, Ambulance Dressings, cleansing wipe, paramedic scissors, blue vinyl gloves, resusciade face shield, crepe bandage, premier green box. Fully compliant to HSA regulations. Suitable for work areas with up to 50 employees. Supplied in a first aid box. 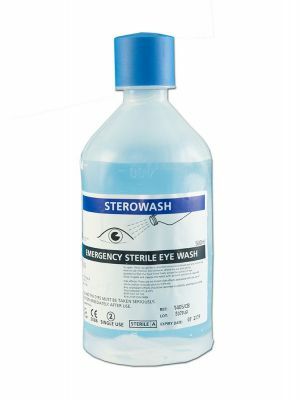 Where mains tap water is not readily available for eye irrigation, sterile water or sterile normal saline (0.9%) in sealed disposable containers should be provided. Each container should hold at least 20ml and should be discarded once the seal is broken. 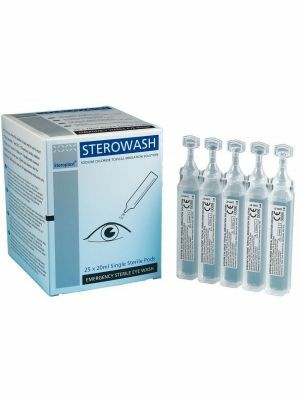 View related product to add to order. 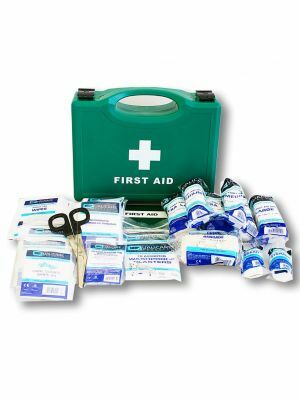 Do I need a qualified 1st aider in my workplace?